For the cost of an ordinary postage stamp, you can thank your customers for their loyalty over the past year and send your wishes for a prosperous new one. Here it’s an easy matter of selecting a design, dropping in your personalised message and ordering. 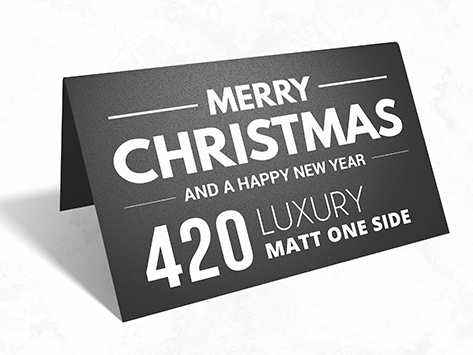 We’ll take care of printing your cards in glorious full colour, applying a matt celloglaze and supplying them with plain white envelopes so you can send them on their way.